This entry was posted on Thursday, May 18th, 2017 at 7:50 pm. Friends, the best weekend of the year is upon us! Yes, Black Eyed Susan Day and Preakness tomorrow and Saturday!! 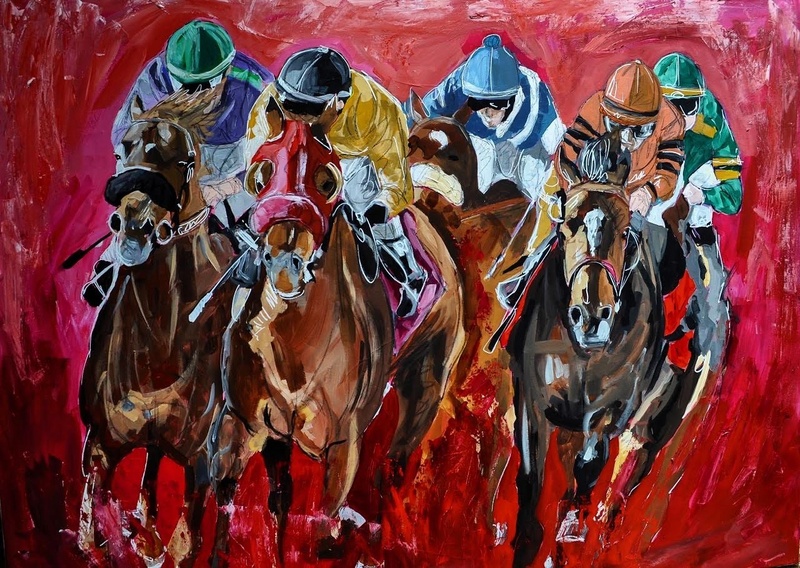 In honor of spending two days at one of my most favorite places – Pimlico, below is Red Riders, a piece by one of my new favorite equestrian artists, Tyler Robertson. You can find him on Instagram @kentuckybrushes. We featured Tyler in Horse & Style Magazine this issue (May/June) in my “Curated by an Equestrian” column. To see more, or to read the entire article, head here! In the meantime, happy weekend (almost) and happy racing!